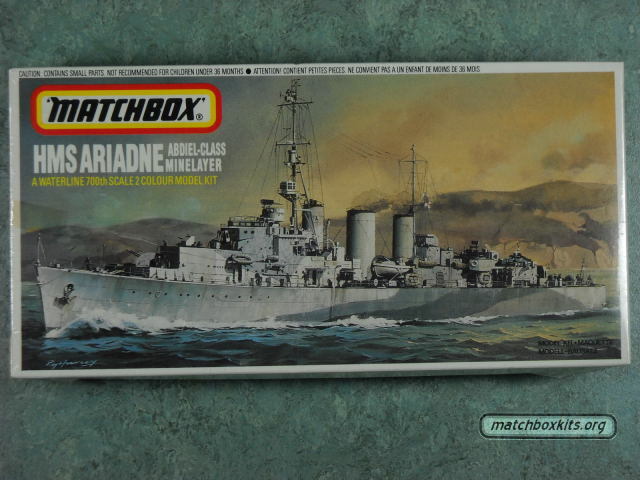 Same "washed out" background to the boxart as per the type 3 or 4, but with the new logo as it appeared on Type 5 layout with the word "Matchbox" in black on a white background with an yellow and red border.� We're still unsure when these box updates appeared first. Probably this was at the end of the eighties, but at least it could not likely have started before 1984. This particular example, The Ariadne PK-61, was issued in 1988.